I'm super happy to have just been approved to have an informal TinkerTry meetup of sorts, over in the new VMTN Community area of VMvillage, as part of VMworld 2017 Las Vegas being held at Mandalay Bay again this year. One of my favorite things about meeting hardware enthusiasts is hearing more about their own challenges when implementing a home lab, and the tips and tricks and stories that often only get shared, in person. I will be there for 3 hours. Last year was amazing, hoping this year is even better! I get quite a kick out of talking about whatever home geekery you fancy. I will have lots of tiny little storage bits and pieces with me, including various M.2 adapters and drives, and a sample PLP/SuperCapacitor equipped M.2 NVMe drive. Who knows, there's a slight chance I'll even be be able to have an Intel Optane P4800X SSD with me, or available for demo remotely, we'll see! Follow me @paulbraren for the latest updates and announcements. If you’ve ever visited the TinkerTry.com blog for home virtualization lab enthusiasts, come by and meet the Founder! Paul will even have one of his compact Xeon D servers with him, running vSphere 6.5 Update 1. He’ll surely enjoy nerding out with you over the latest hardware and software advances, including M.2 NVMe gumstick SSDs, and the fastest-storage-in-the-world Intel Optane/3D XPoint! 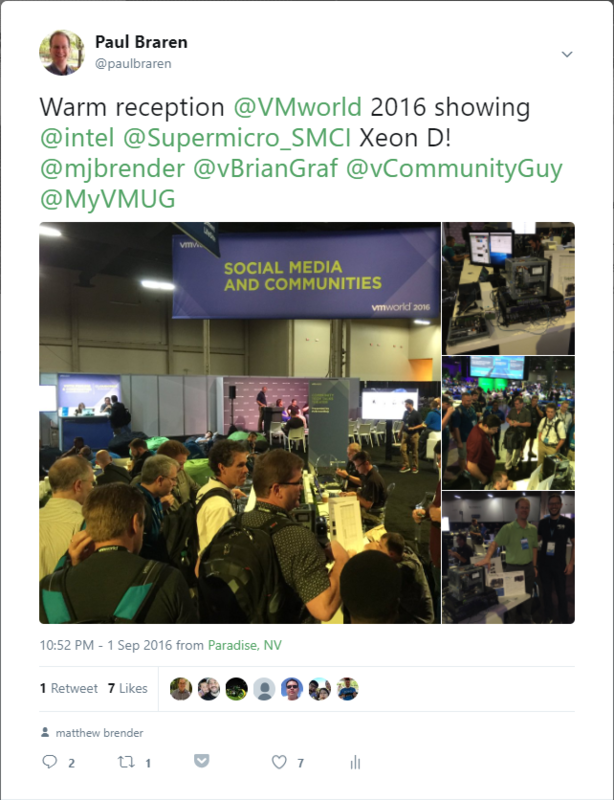 Feel free to also ask Paul about vSAN 6.6.1, VMUG Advantage EVALExperience license keys, and which 10GbE networking and routing equipment he uses. 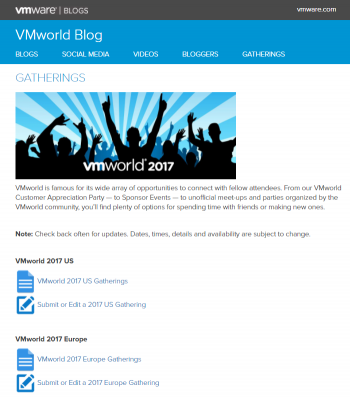 Paul Braren @paulbraren has been blogging about a variety of virtualization topics for over 6 years, has been a vExpert since 2014, and recently joined VMware as a Software Defined Storage Systems Engineer.